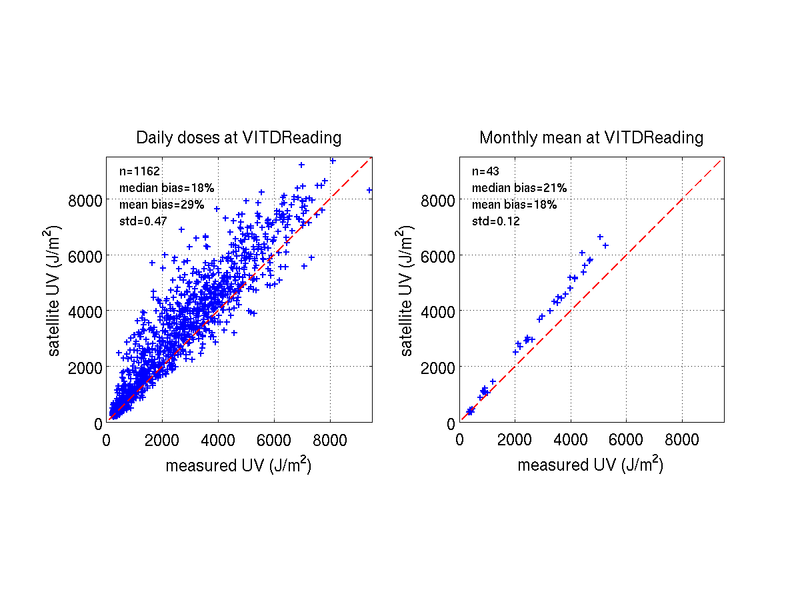 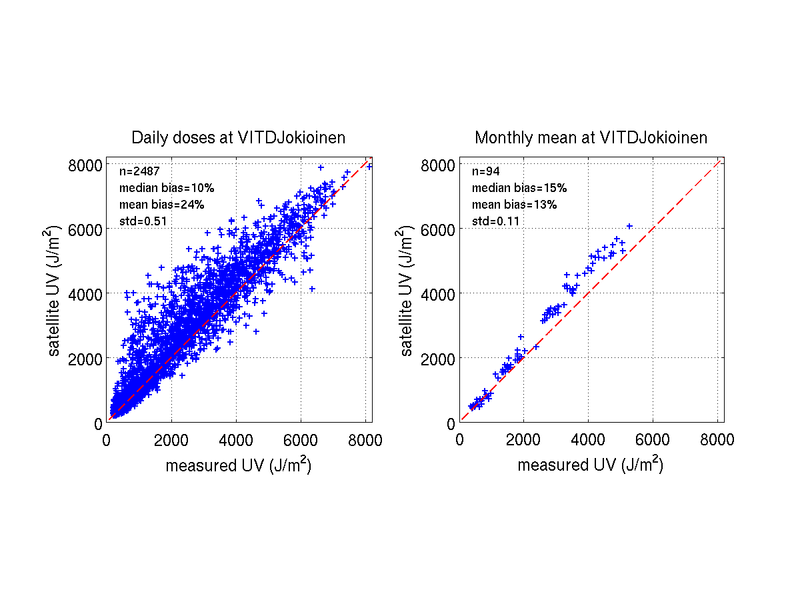 The satellite-retrieved Vitamin D weighted UV doses over the period July 1983 to June 2007 were compared to ground-based measurements at four European sites. 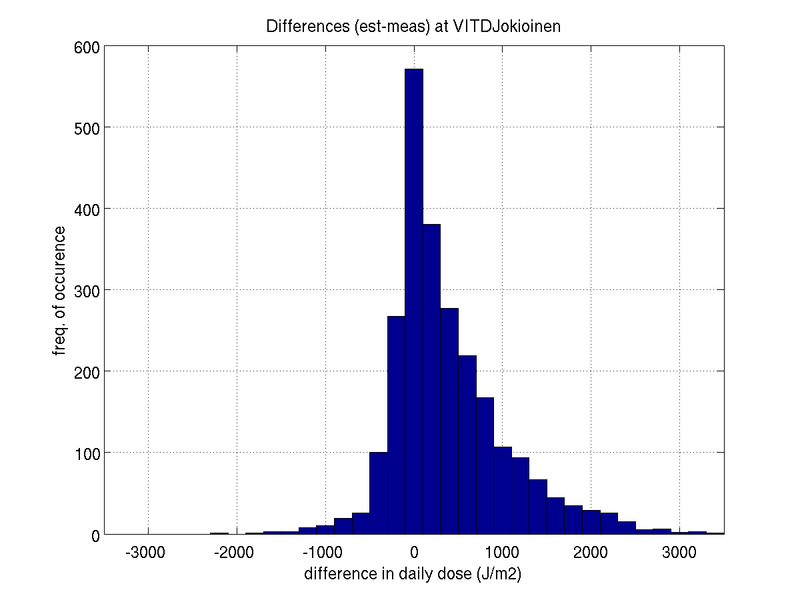 In accordance with the validation of erythemal daily doses we applied a threshold filter of 200 J/m2 to the daily doses, so that only doses exceeding that value were included in the validation analysis. 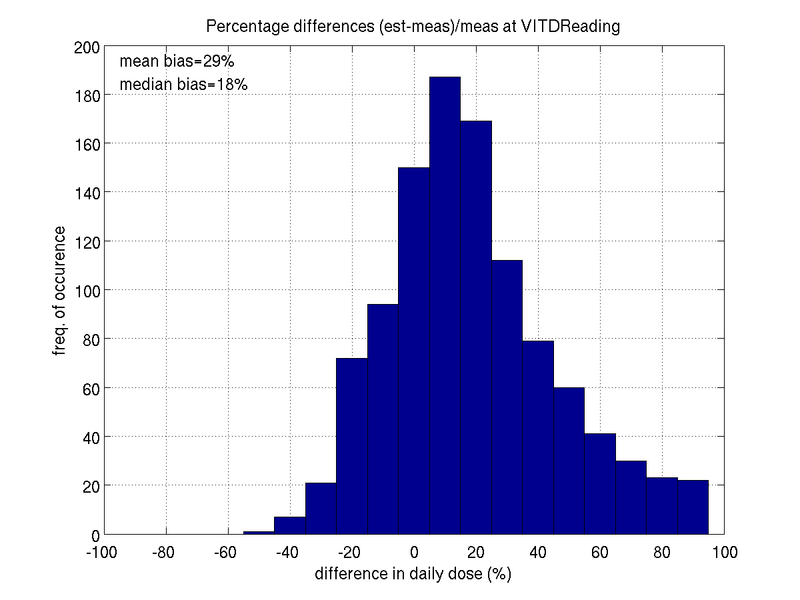 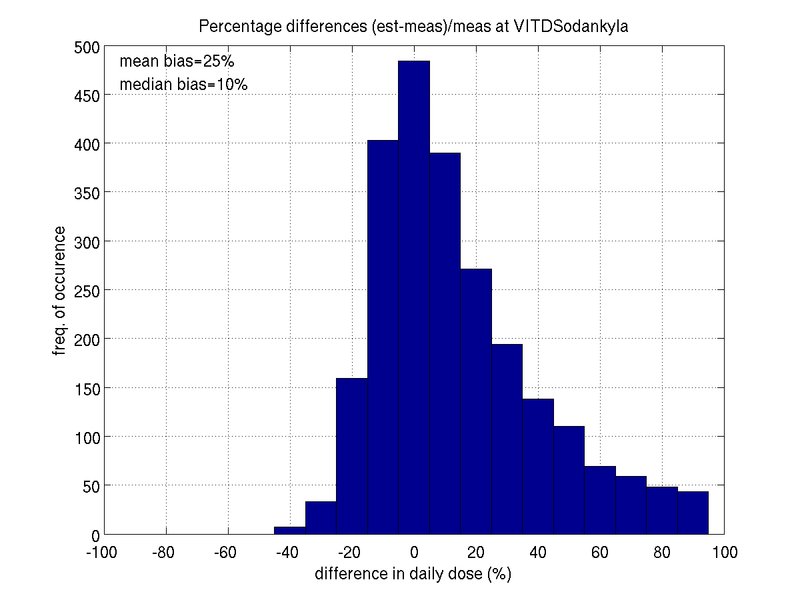 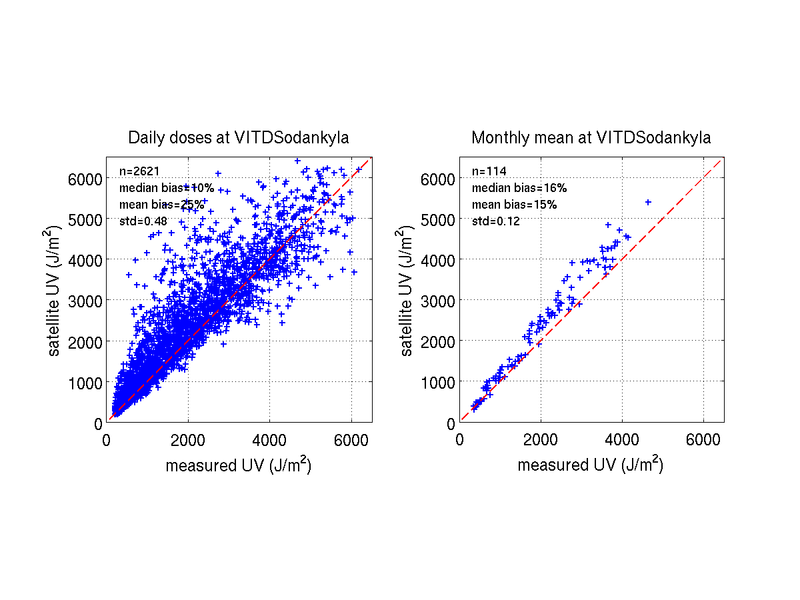 The results detailed in the table beneath show that the overestimation of the Vit D doses at four stations that could provide data is roughly of the same order that is seen in the Erythemally weighted data: mean bias is about 25-30% and median bias 10-20%. 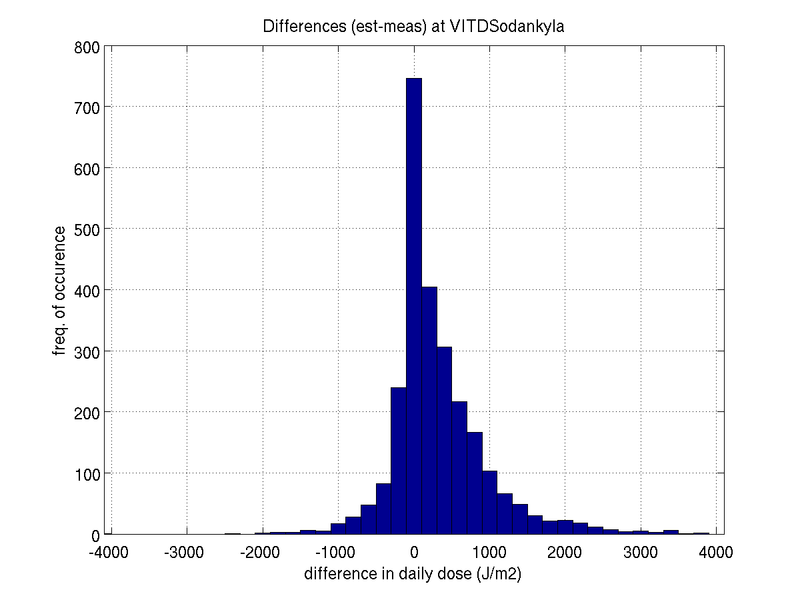 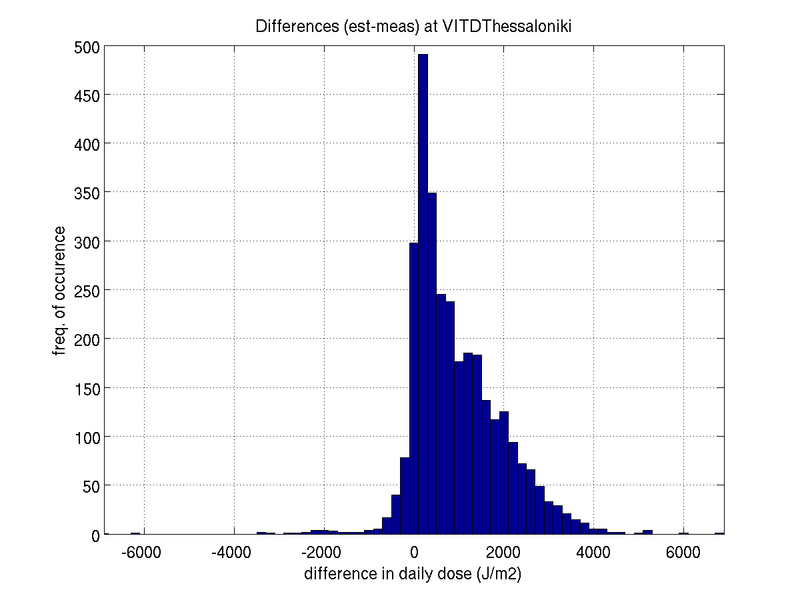 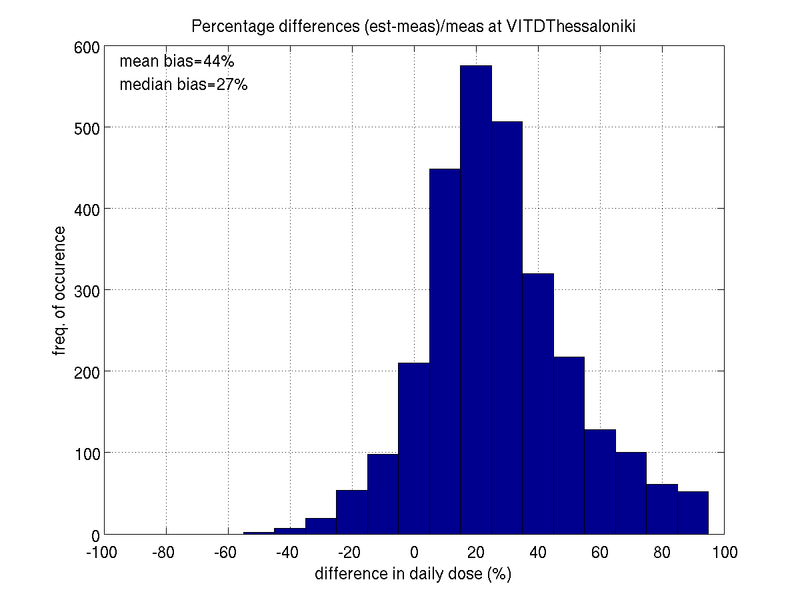 However, in Thessaloniki the bias in Vitamin D doses is larger than bias for Erythemal doses. 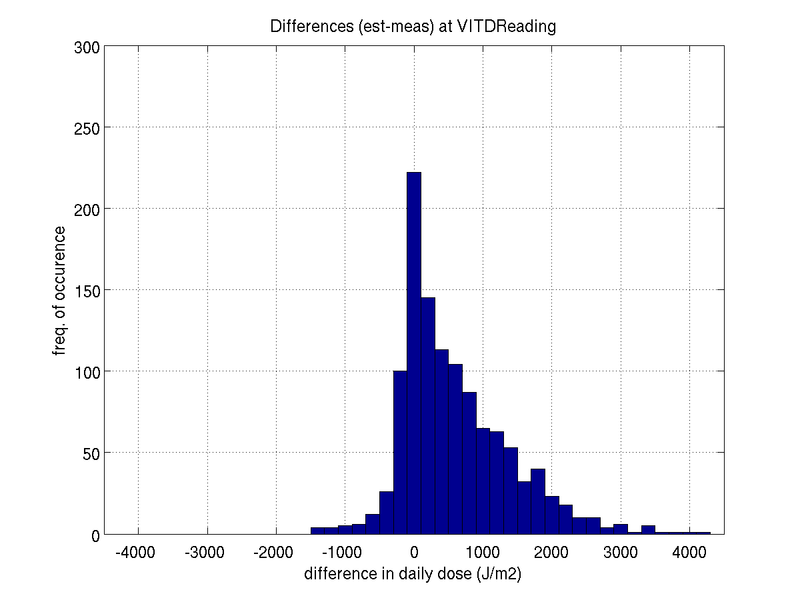 In addition to this summarizing table, we include some illustrative figures of the validation results at each station. 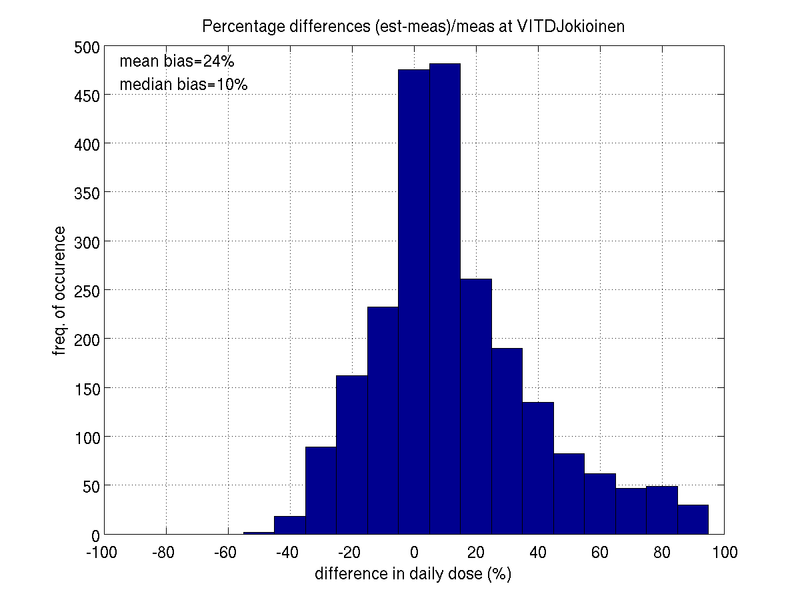 These figures show, for instance, how some of the daily errors are averaged out when looking at longer periods: the performance for the monthly mean values is clearly better than for daily values, indicating that the method has potential to serve as an information source for time series studies.